Governor Walz was sworn in on one of the historical treasures in the care of the library of the Minnesota Historical Society. Popularly known as the “Senate Bible,” it was published in 1864 by E. H. Butler of Philadelphia. The bible is the survivor of a disaster. 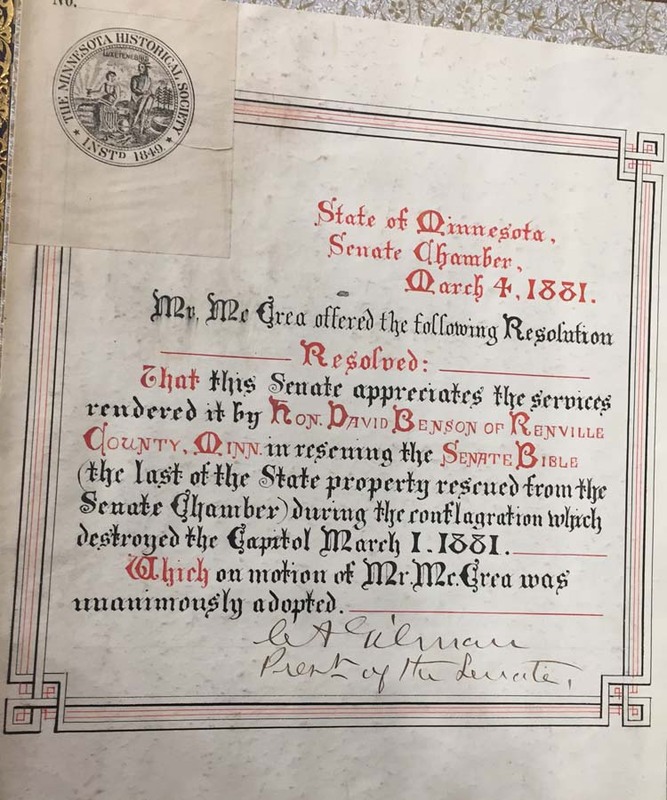 On March 1, 1881, as both houses of the Minnesota legislature worked late into the evening, fire broke out in the dome of the first Minnesota Capitol. Elected officials and passers-by rushed to rescue furniture, important documents, and historical collections. The Honorable David Benson of Renville County heroically rescued this bible from the Senate chamber, the last of the state’s property to be saved. Three days later, the Senate unanimously passed a resolution praising Benson for the service he rendered. That resolution is pasted inside the Senate Bible. Senate Chaplin Robert Smith also wrote in the bible of his gratitude and respect for Benson. The Senate Bible had sustained some damage, but one hundred years later, it was restored in Minneapolis by Jerry Pfeifer. 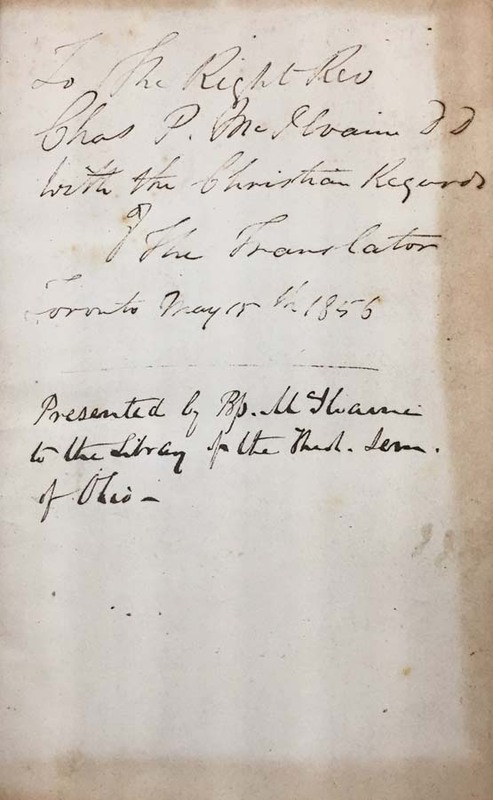 copy, “with Christian regards of the translator,” to the Right Rev. Chas P.
Minnesota Historical Society purchased it, using money from the Carl A.